Containers make great movable barns, milking parlors and milk houses! They are not fixed structures on your property, so you'll save on taxes, can be remodeled or sold to fit your needs! 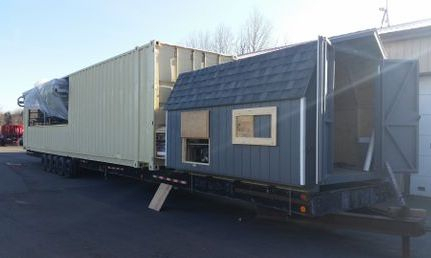 Don's specializes in all types of container projects to fit your farming needs! 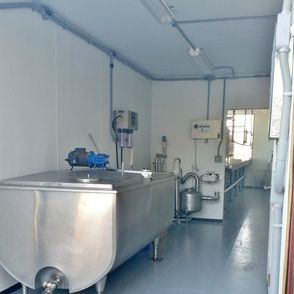 Our 20 Foot Processing Container ready to be set on your location and processing your own milk, cheese, butter, yogurt or whatever you desire. 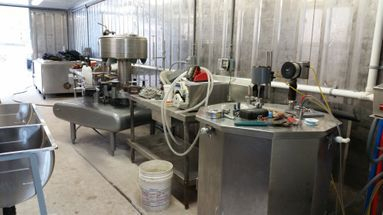 Every container is custom made to our customers specs, however, the "standard" container comes with a 99 Gallon Micro Dairy pasteurizer (with peristaltic pump & recorder), 5 ft stainless steel table, Manual Bottle Filler & Capper, 2 basin utility sink, hand sink, On-Demand hot water heater (propane or electric), stainless steel welded seam flooring, Truss Core PVC Paneling walls & ceilings, LED lighting, exhaust fan, windows & door! A 45 ft. shipping container made in to goat milking parlor and milk house with attached equipment shed. 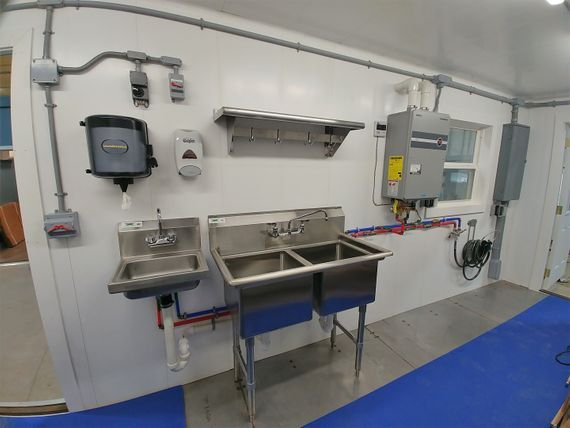 This container includes a single 16 parallel goat milking parlor, 400 gallon bulk tank, complete milking 3” low line milking system, pipeline and tank washer, hand and utility sink, LED lighting, FRP white board on ceiling & walls, floor drains, complete plumbing, 3 windows, 2 entrance doors and storm door to separate milk house and parlor. 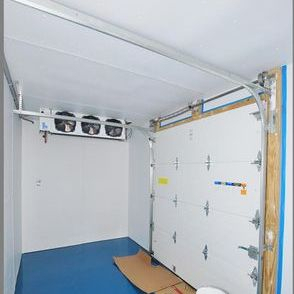 The equipment shed contains the hot water heater, vacuum pump and compressor. 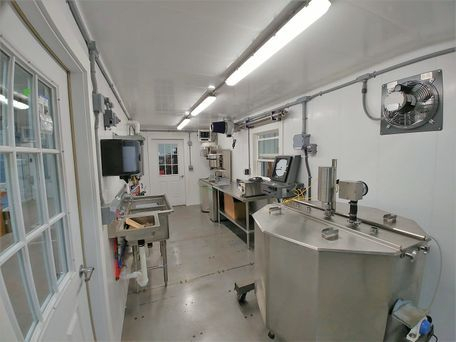 A 20 Ft. container transformed into a two room milking barn with a milking station room and milk house. 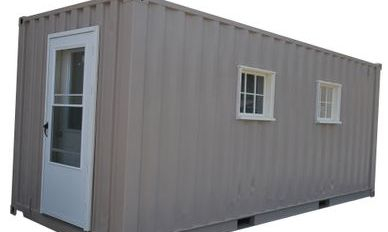 This container features an entry door, four windows and two storm doors. The floor is epoxy throughout with floor drains and rubber mats in the milking room. The milk house contains a utility sink, hand sink, hot water heater and small bulk tank. Full electric service and plumbing is complete with LED lighting and FRP white board throughout the ceiling and walls. 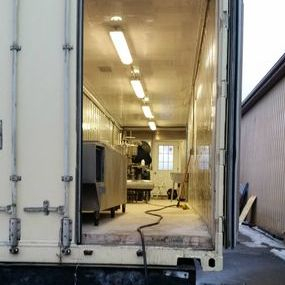 This container produces and processes raw milk on a small farm in NH. 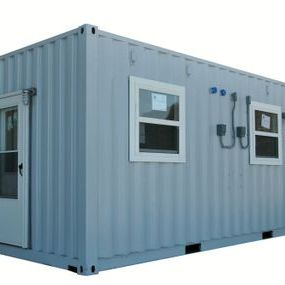 A 40 ft. shipping container milk processing plant with a walk-in cooler and an overhead door. 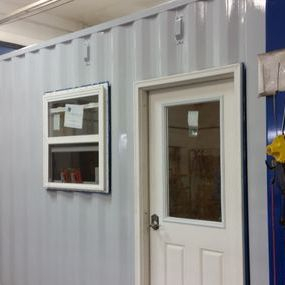 This container features an epoxy floor with floor drains, three windows, an entry door, overhead door, efficient LED lighting, spray foam insulation and FRP whiteboard throughout for a sanitary surface. 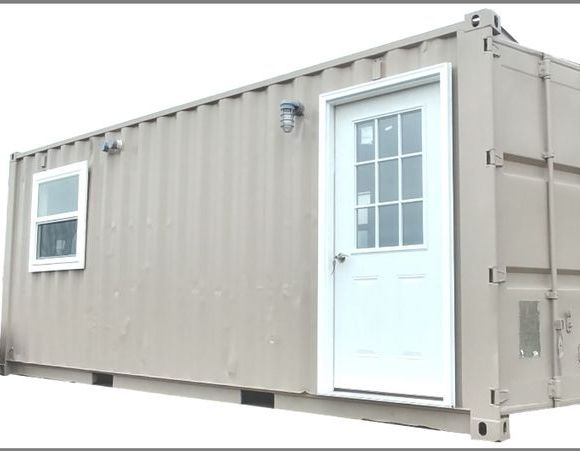 e container includes a large pasteurizer, bottle and capper, utility and hand sinks, hot water heater and all electric and plumbing. 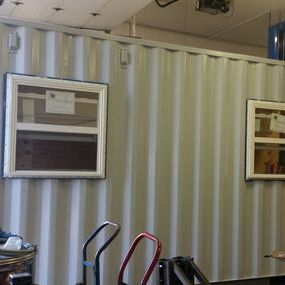 A 45 ft. insulated shipping container made in to goat milk processing plant. 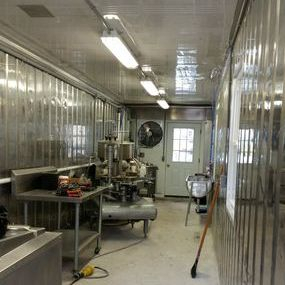 This container features a concrete floor with floor drains, two windows, an entry door, utility and hand sink, LED lighting, a water cooling tank, a 100 gallon pasteurizer and 6 head bottle filler, complete plumbing and electric installed, all on a mobile home trailer frame. 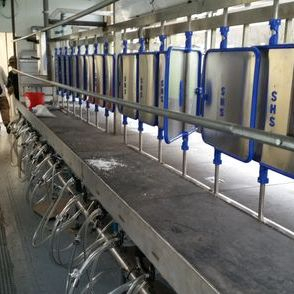 This unit is connected directly to the goat milk parlor and milk house for seamless processing and bottling, making the best use of space and time for it’s users. ability to cater to the small scale/niche processing industry! AND HEAT AND AIR CONDITIONING! Starting a creamery and don't know where to start? Start here! 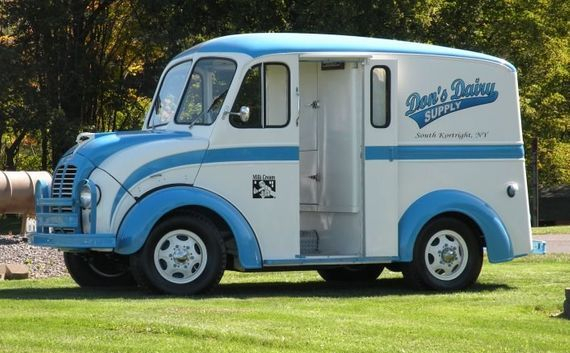 Don's restored 1947 Divco Milk Truck he found in the weeds and gave it a new life!